You won’t be surprised that Queen of Riches is just as epic as it sounds. Big Time Gaming have created another exceptional slot with non-stop action to keep you entertained. Religious symbols, majestic pyramids and rhythmic music, Queen of Riches puts a new twist on the classic Ancient Egyptian theme. 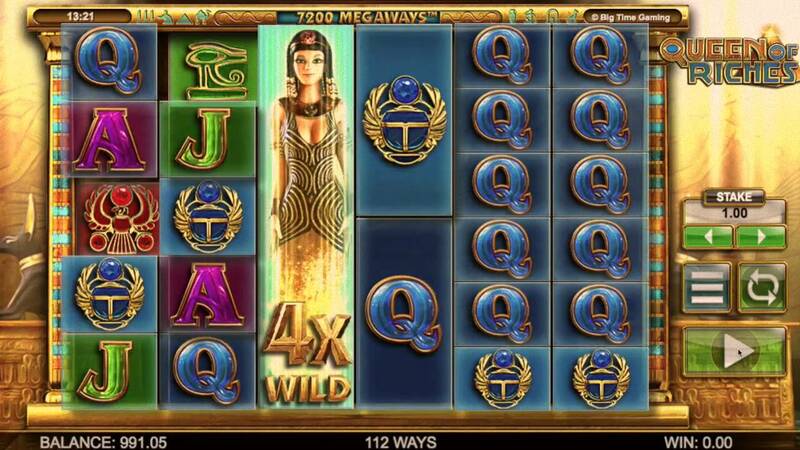 This 6-reel slot can potentially reveal 7 symbols on each row and has a staggering 117,649 ways to win. Although the base game is where this slot prevails, the Full Reel Wilds and Reel Clone Feature can make a huge difference to your pay-outs. Play today for a chance to build your own riches on EasySlots.com. Play them now on Easy Slots. Queen of Riches gameplay is extremely smooth despite it’s fast paced action. The slot itself welcomes you with Egyptian tones and the shudder of cymbals colliding. As for the gameplay, there is no shortage of paying symbols to look out for. * FULL REEL WILDS – Full Reel WILDS cover 7 positions and can reach a maximum multiplier of 7x. These WILDS will combine and multiply by each other if more than one is present on a winning spin. These WILDS appear on reels two through six. * REEL CLONE FEATURE – Reel Clones will randomly appear and can cover reels two through six with identical symbols. If they connect, your pay-outs can be enormous. Also, Full Reel WILDS can be cloned which can potentially create a maximum of five sets of multipliers on the reels. This FEATURE randomly assigns a multiplier to each reel. Join and spin today! You can discover more about phone credit slot here. 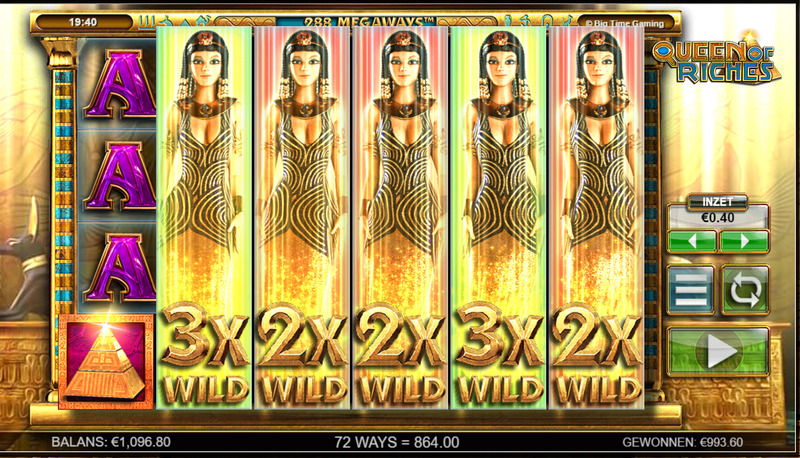 The online gaming industry is saturated with Ancient Egyptian themed slots, but Queen of Riches stands out from the rest. It’s layered base game and promising bonus feature are a recipe for big winning combinations. As for the design, the golden colour scheme and plethora of Egyptian artefacts represents the luxurious lifestyle of Kings and Queens. If you’re a fan of Big Time Gaming or not, Queen of Riches is a slot for everyone. If you enjoyed Queen of Riches why not try another online slots, visit the site here.